A big revenue generator for optometric practices is from dispensary sales. However, due to online retailers offering low priced frames, your optical dispensing profits may be suffering. If your goal for 2017 is to increase frame sales, it could be as simple as a change to your frame board. Below are a few tips to update your frame boards to improve dispensing profits. Having frames randomly placed on a frame board creates confusion. 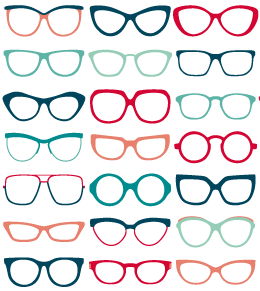 When a potential customer comes in, and your practice is busy, you want to make sure that the patient can quickly identify the types of frames they are looking for. That way, they don’t leave before you have a chance to speak with them. Organizing frame boards by gender, brand, or patient age is a great way to guide potential customers to the frame that’s right for them. Shoplifters can put a significant dent in your practice profits. 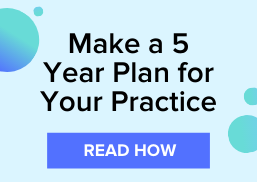 With just a few frames pocketed, your practice could be down thousands of dollars. Unfortunately, some tactics that thwart thieves can also make your frame boards less inviting for legitimate customers. When was the last time that your frame boards got a makeover? Having an inventory of trendy and quality frames is important, but what do your frame boards as a whole look like? If your frame boards appear dirty or dated, perhaps it is time to give them an update. Because your frame boards are your focal point for sales, it should look clean and make your customers want to spend time there. Besides regularly dusting the frame boards and cleaning mirrors, a few other updates could improve the appearance of the frame board. Want to start 2017 on the right foot? Download the ebook 4 Weeks to Bigger Profits in Your Optical Dispensary for tips!